Advance Tabco hands free faucet wand is easy to install. Adapters are included in the following sizes: 13/16"-24 and 15/16"-27. It is easy to use and won't leak. It also prevents cross-contamination. Advance Tabco hands free faucet wand. Watch this video to learn about the benefits and easy functionality of Advance Tabco's hands free faucet wand! 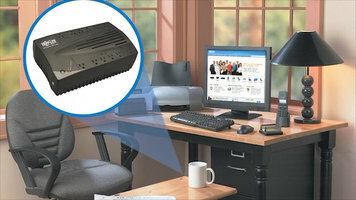 In the event of a power outage, this AVR900U UPS system is always ready to provide a backup battery for your home electronics. 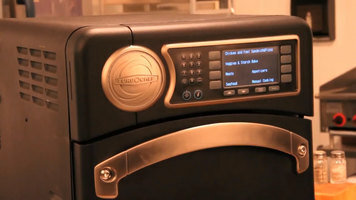 It includes a feature called voltage regulation which protects against power surges which can damage your equipment. Tripp lite's AVR900U is easy-to-use while being inexpensive. Ensure that your bar or restaurant has the means to accommodate an undercounter ice machine! 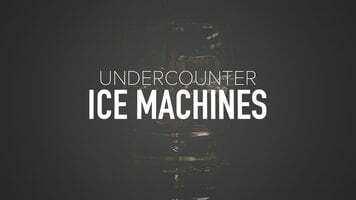 Great for a variety of reasons, an undercounter ice machine fits comfortably underneath countertops, so it won't get in the way when your bartenders are at work. Keep your foodservice operation running smoothly with this TurboChef Sota microwave oven! With just the simple press of a button, you can have quickly seared fillets, pork chops, and more!